This graph shows the total household debt in the United States. Orange is motgage loans. HE Revolving is home equity loans. Green is auto loan. 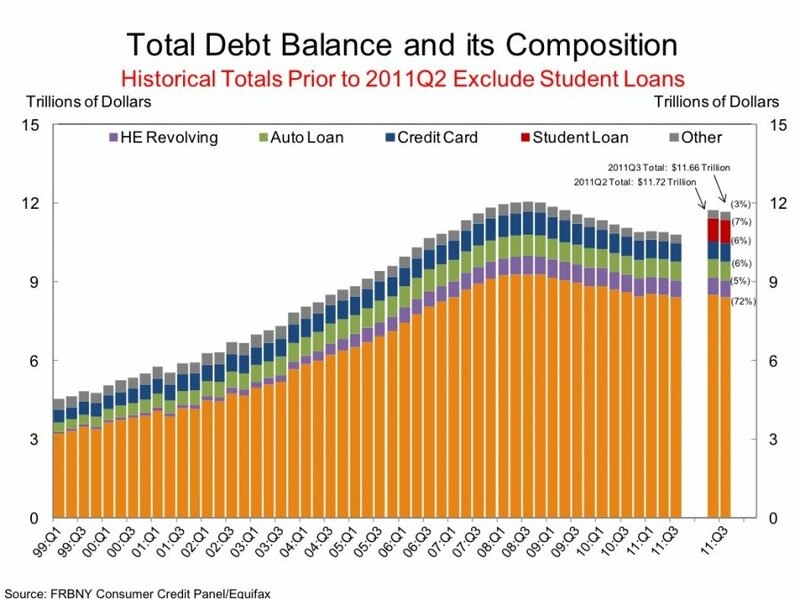 Blue is credit card loans and from this quarter student loans are added as well (red). As you can see the american citizen is deleveraging (bringing down its debt), but it takes time. The household debt is about 77% of U.S. GDP. This post contain good information.Thanks for sharing.For more info visit here.